Friday March 15, 2019 6:30pm until 8:00pm in the MPR. Mad Science will present our kick-off assembly to the Challenger students on Tuesday, February 12th. The kick-off assembly gets the students excited about how much fun they will have with STEM Experiments. Students are welcome to do the experiment with a buddy, sibling or friend from school. Please submit entry forms by Monday, February 25th. **Entry forms help us arrange the layout of the MPR to accommodate all our scientists. Please set up your displays and keep the aisles clear for others to set up. Volunteer Parents will discuss each student’s projects with them. In the afternoon, classes will have the opportunity to walk through and view all the projects. Kindergarten Parents: Science Fair is for kindergarteners too! We want to encourage all students’ ideas and discoveries. Keep it simple and allow them to complete the process and write up their discovery. All experiments will receive an award and lots of recognition. 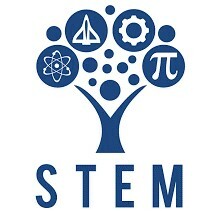 Science Fair Family night from 6:00-7:30 pm on the night of March 15th. All the wonderful projects will be on display at that time. There will also be lots of hands-on science activities for everyone to participate in from STEM related professionals and local sponsors.